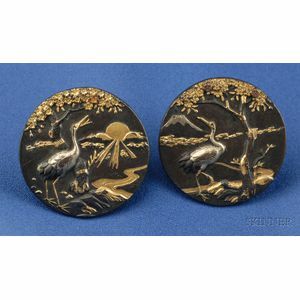 Pair of Shakudo Cuff Buttons, each round button depicting a crane among water plants with Mt. 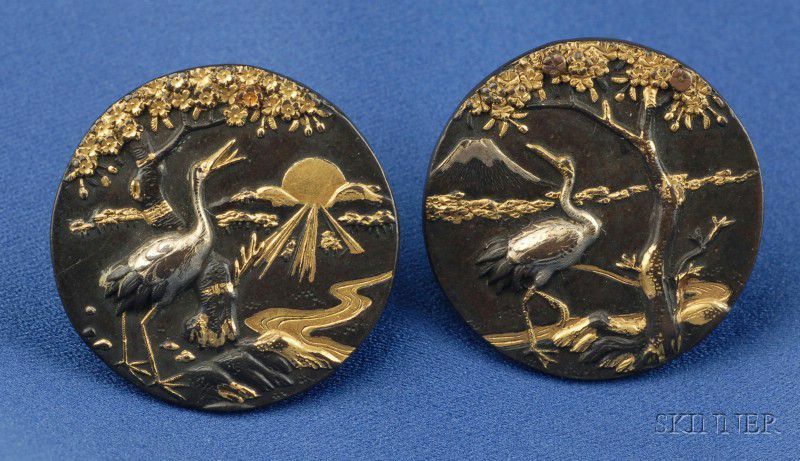 Fuji and a setting sun, dia. 1 in.